Mammadu onlus is the association that supports Mammadù in Namibia. We perform activities and projects in our MAMMADÙ Center in Namibia for the benefit of children who come from destitute families and are in need and in distress. We aim to improve the children’s living conditions concretely ; our interventions are mainly targeted at granting a good level of education in order to prepare the children for a better future. organize voluntary work opportunities for persons who are willing to dedicate their abilities and time to share growth and play opportunities with the children. 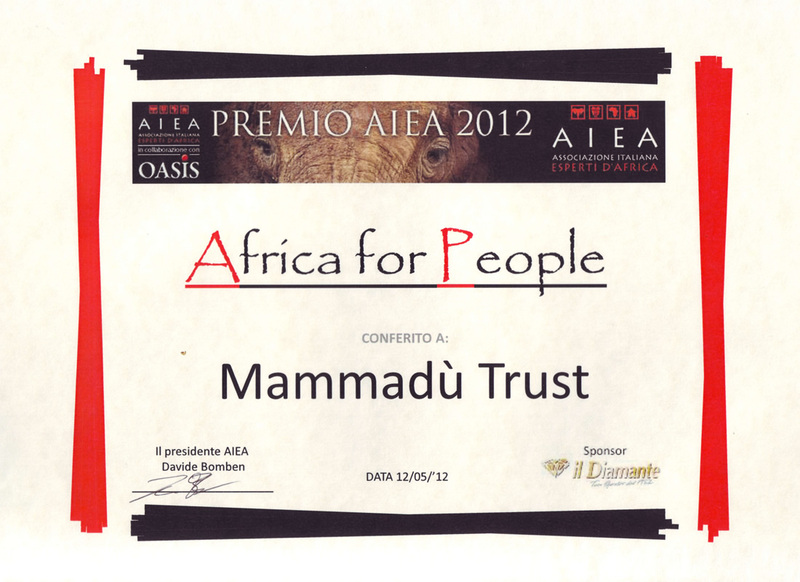 In 2012 the AIEA – Italian Association of Experts in the Field of Africa – honoured us with the Africa for People Award as the organization which supports the best project for African communities. Every year this recognition is given to organizations operating in Africa and working for Africa. The panel includes tour, guides, writers, journalists, biologists, photographers, directors and travellers who share a strong bond with the African continent and wish to spread their knowledge to a wider audience. MAMMADÙ increasingly wishes to interface with other humanitarian organizations in order to share constructive information, experiences and projects. Founded in 2008, the non-profit organization has its headquarters in Windhoek, the capital of Namibia. It operates from its own Mammadù Welcome Center (built in 2011) where it takes care of all the basic daily needs of children: providing clean water, nutritious meals, ensuring personal hygiene, providing pre-school and regular education, and spaces for play and sport. Registered with the Ministry of Health and Social Services, Mammadù Trust also maintains ongoing open communications with the Ministry of Equal Opportunities and Child Welfare by exchanging visits and by sending reports and requests for technical support. A non-profit organization founded in Milan in 2014. It seeks funding to support Mammadù Trust and its Mammadù Center in Namibia through various activities and events in Italy. The Association supports volunteer activities and also provides information to sponsors who support our children from afar. A non-profit organization founded in Germany in 2013. It seeks funding to send to Mammadù Trust and coordinates volunteer search and recruitment.